Here are some more pictures around town. 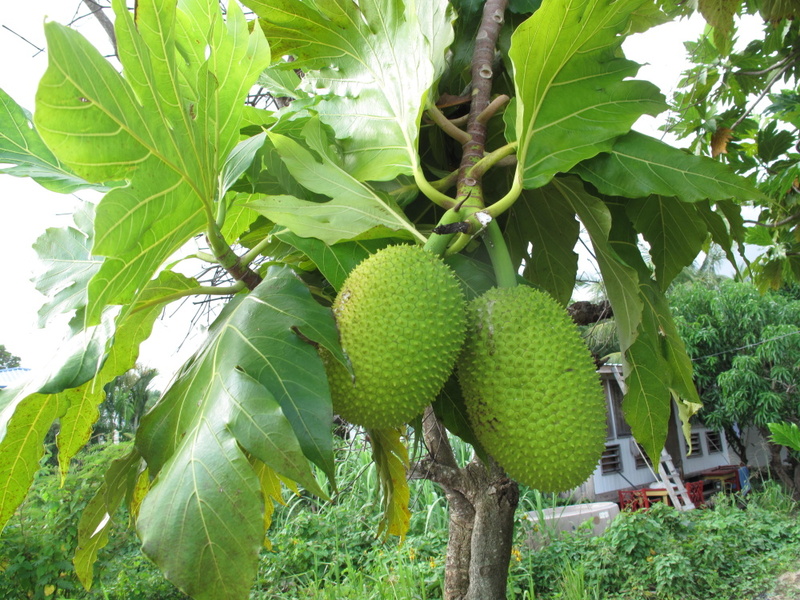 A very pretty breadfruit tree with some small fruit. These things grow to be HUGE. 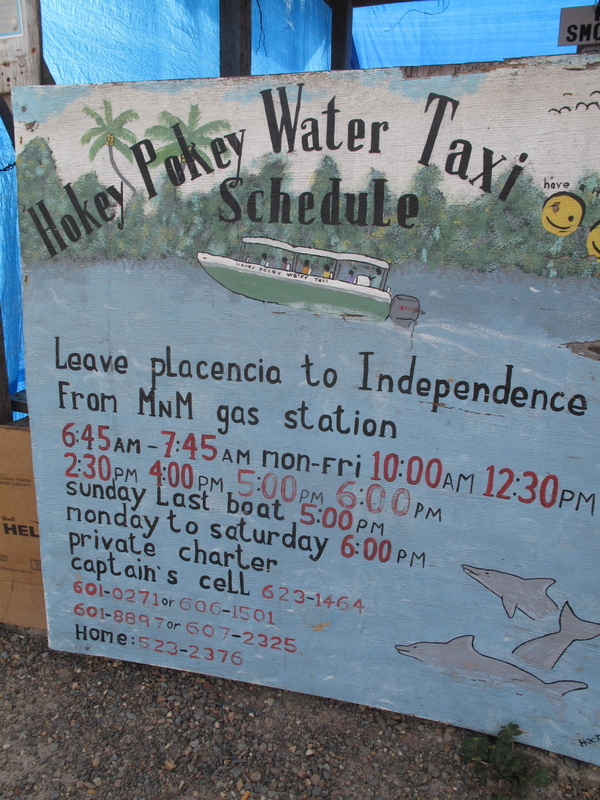 The water taxi to the larger village of Independence across the lagoon even has a super cute name. 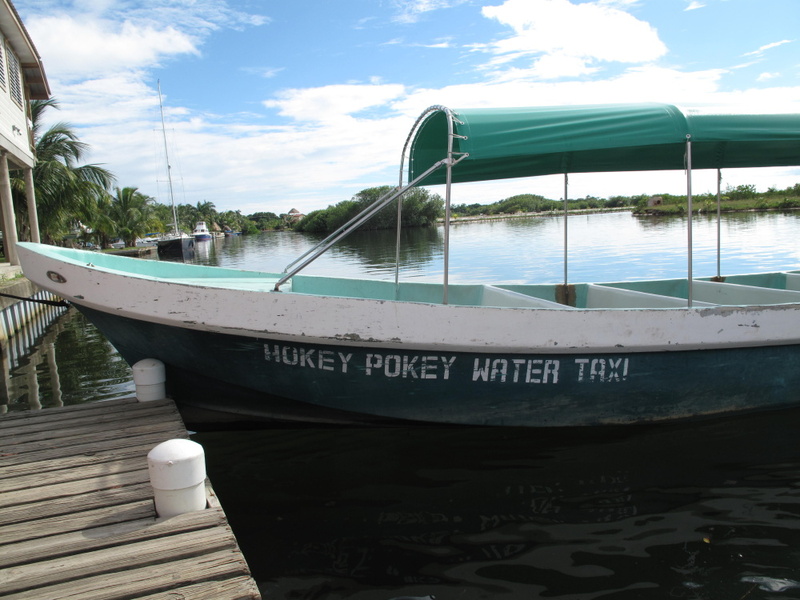 Many people that work in Placencia commute Hokey Pokey style. 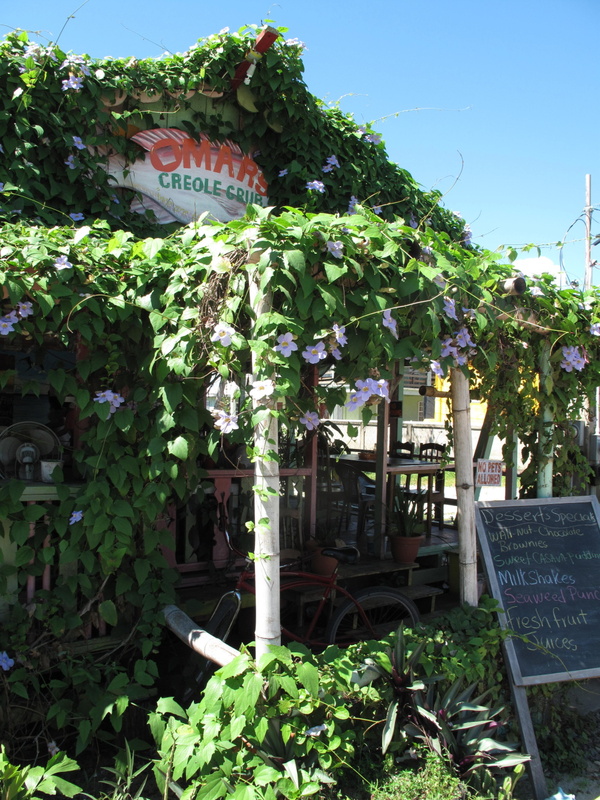 Omar’s Creole Grub dripping with purple flowers. 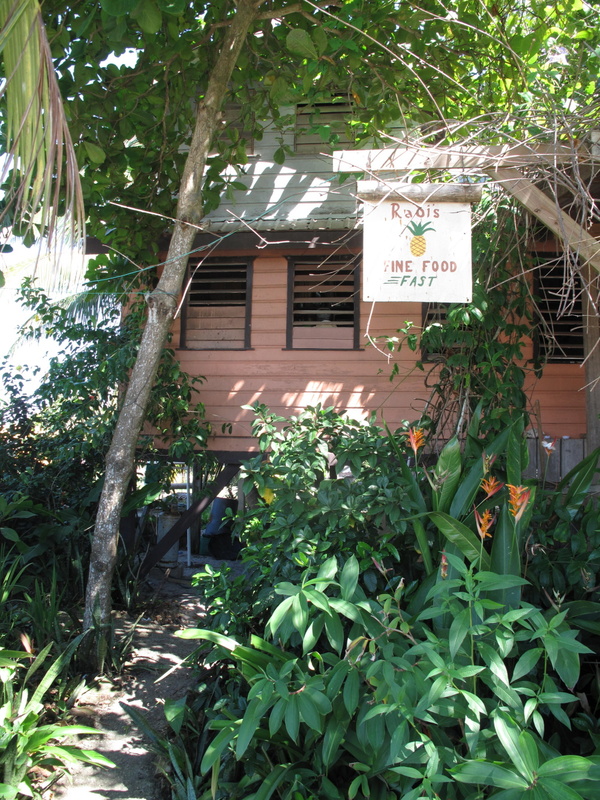 And this intriguing restaurant, also COVERED in plants. 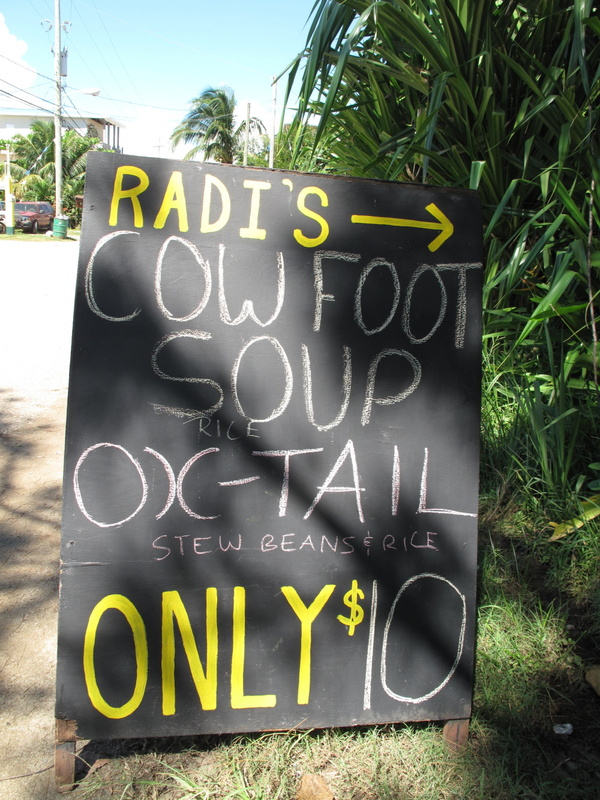 I do love some Oxtail…cow feet? Not so much. 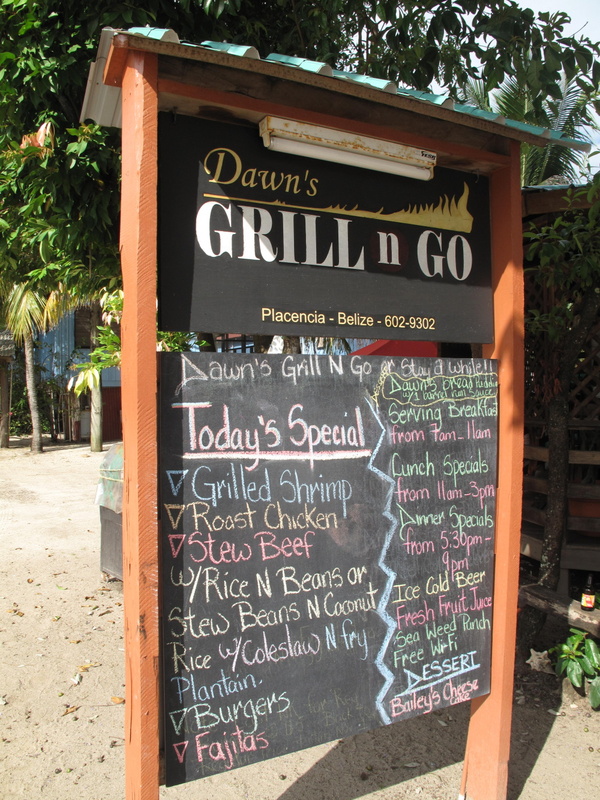 I’ve heard that Dawn’s Grill n Go does some great fried chicken (check out Lily’s blog post for a picture). I know you are not going to believe this, but I am quite the fried chicken connoisseur. Unfortunately it was not on “today’s menu”. 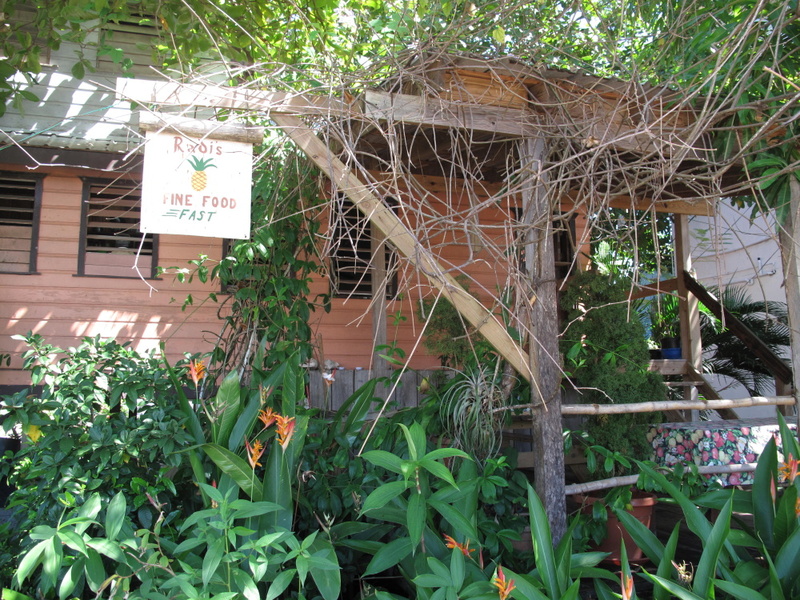 Another dish I will have to return to Placencia for…can they beat the current “Best Fried Chicken In Belize” – Syd’s in Caye Caulker? 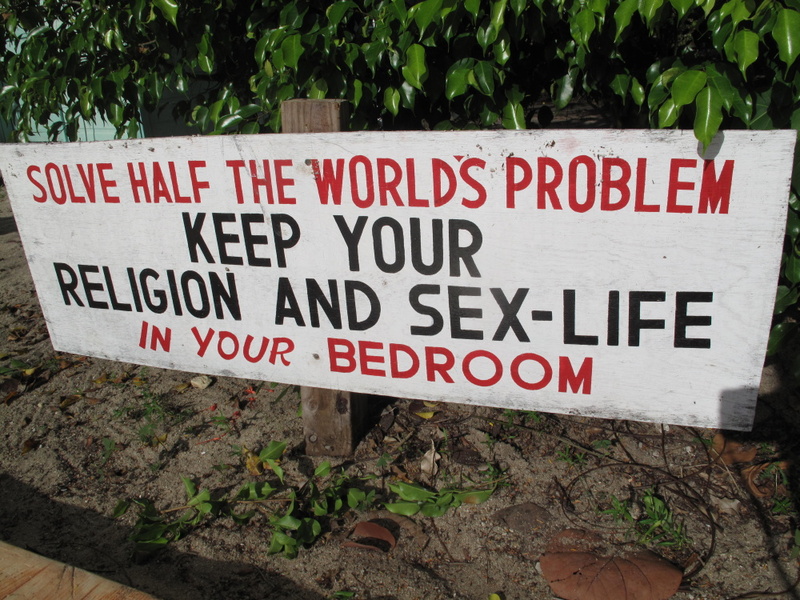 It’s going to be very tough. Just a little stand. Perfect for low overhead and a take away beverage. 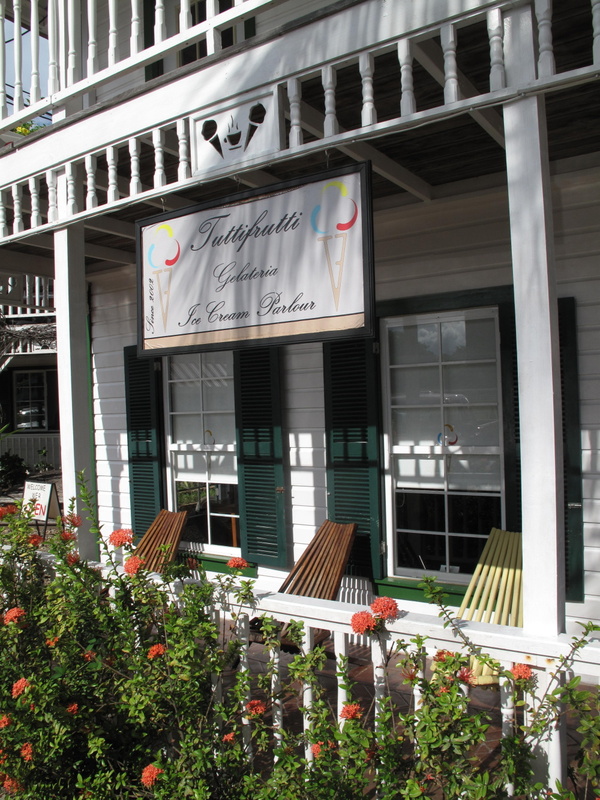 Tutti Frutti Gelato is open for the season. I’ve been dying to try this gelateria (I don’t think I’ve ever typed or said that word before) for years. 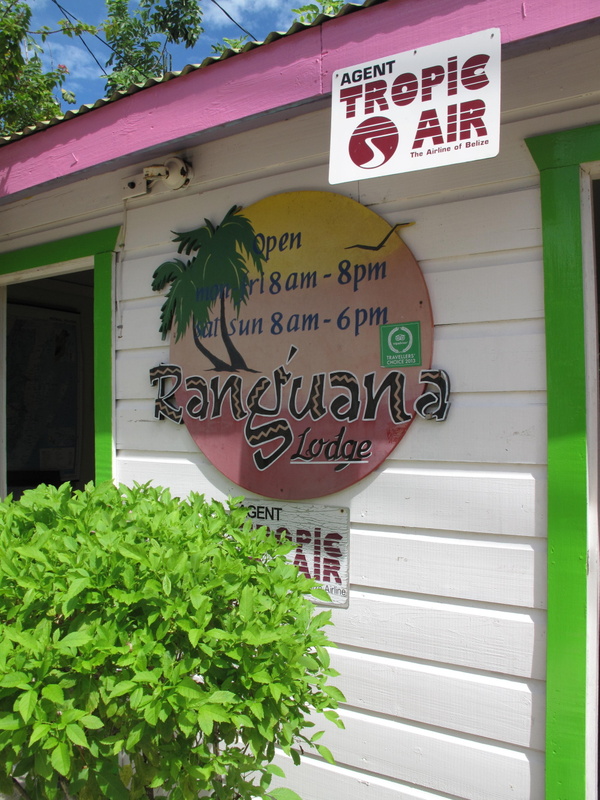 It’s featured in guide books and blogs (the world’s most important sources for all things helpful and true) as the best in Belize. It’s even been called the best gelato in the world. Sounds crazy to me but…well…I’d better taste. They have a very low key sign. One that I’d passed a few times and never noticed. 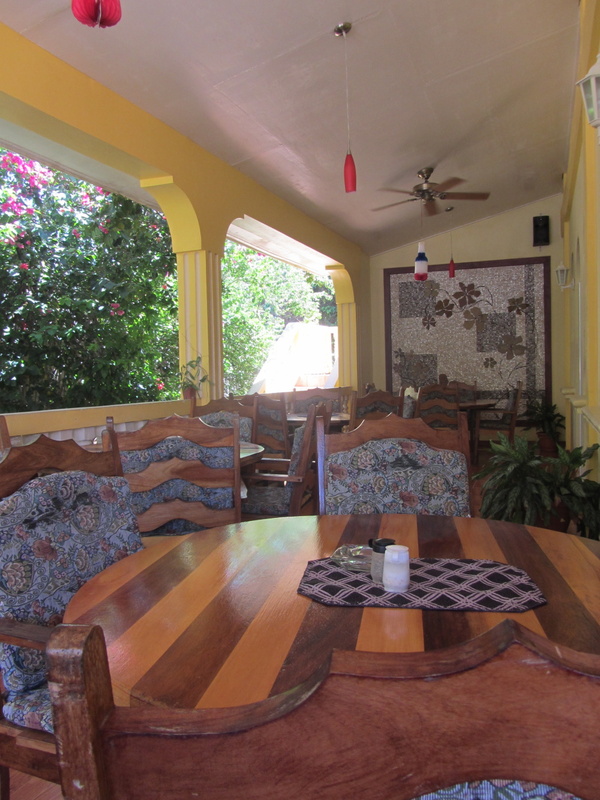 It’s in the same little colonial building complex as Rumfish y Vino Restaurant. First thing I noticed were the very reasonable BZD prices. 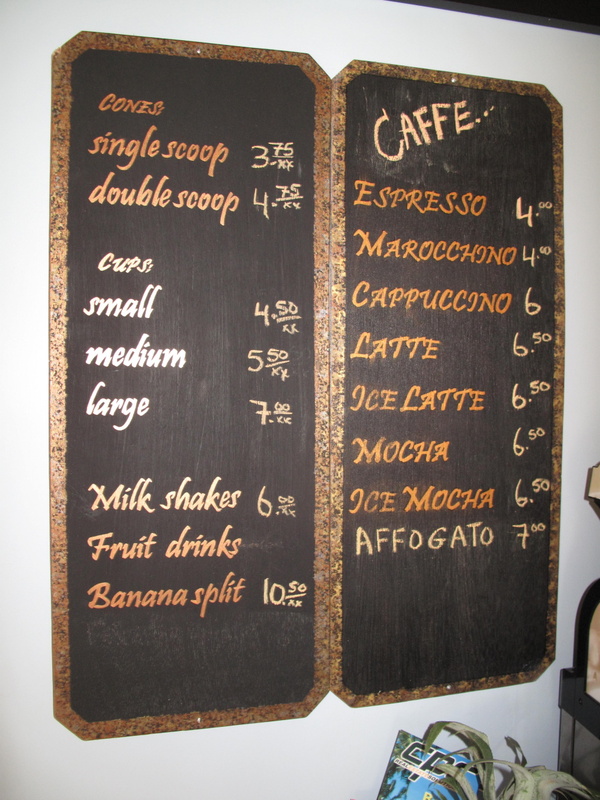 And simple menu. I don’t know how the Italians do it (I can hardly remember my trips to Italy…a blur of eating and drinking prosecco and Campari) but the American me loves toppings. The street outside was fairly empty and I found out why. All 10 people in town (locals and visitors) were packed into this small shop. 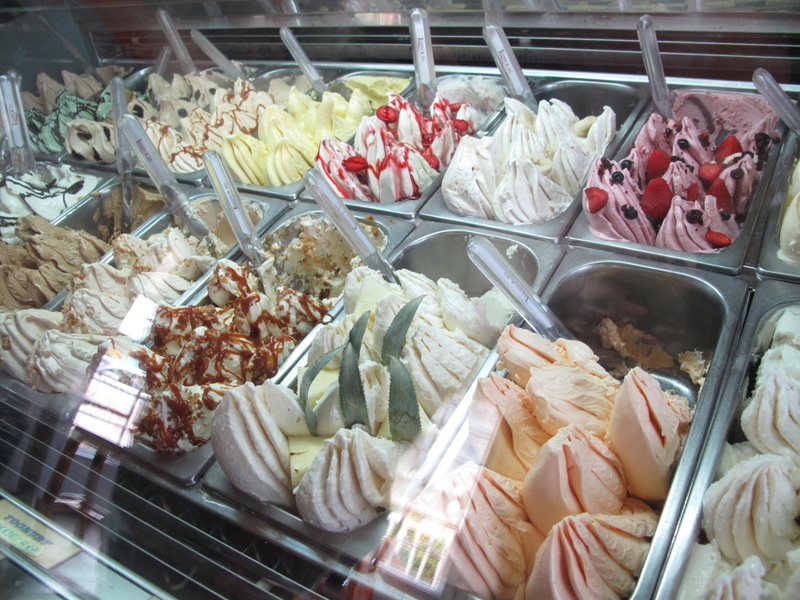 The gelato looks…well…delicious. Tangy fruit yogurt flavors, Bailey and Hazelnut homemade gelatos…studded with berries, dripping with caramel…very hard to choose. I went for the chocolate and the crunchy vanilla. Did you really think I was going to eat just one scoop? The vanilla with a cardamommy granola swirl was great but the chocolate? Oh man…the best. It has shavings of delicious chocolate in it. Dense and creamy and rich. 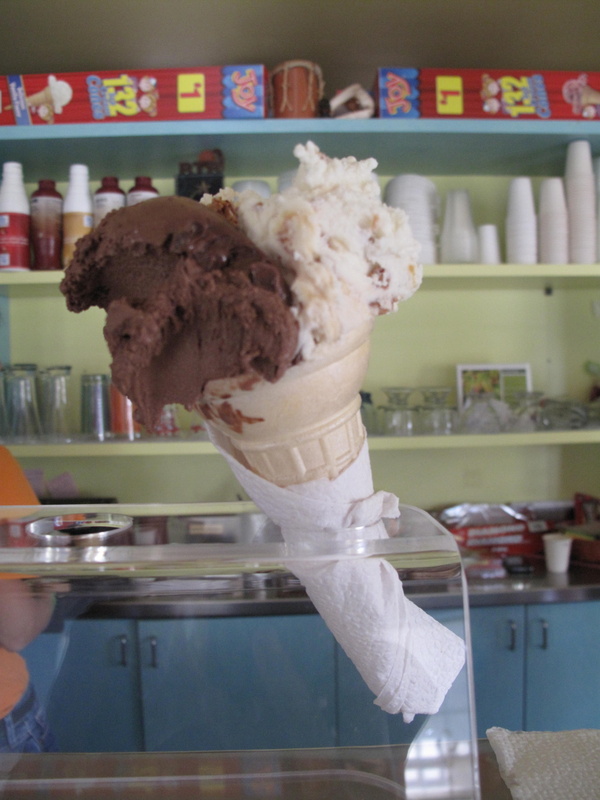 I chatted with some honeymooners and tried to talk myself out of a second cone. Unsuccessful. This stuff is that good. Plus, it was my lunch. 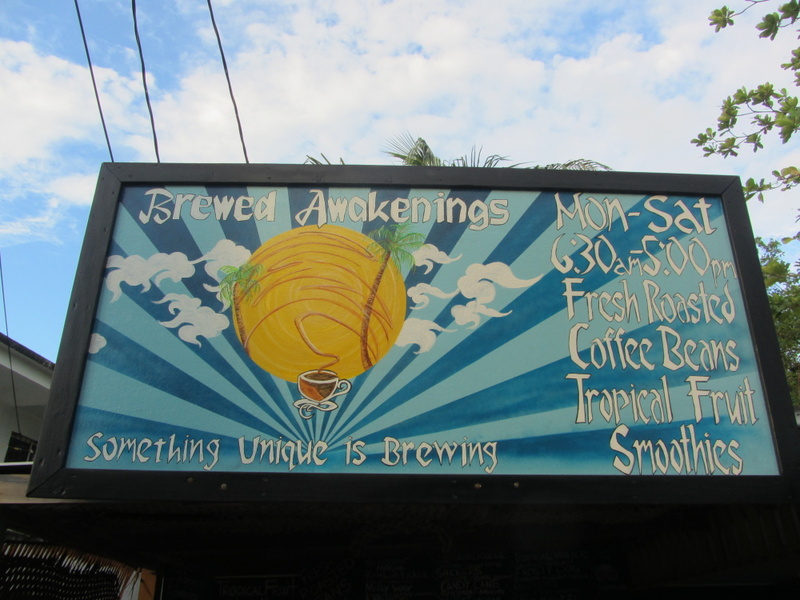 The next morning, I stopped by the Shak for the fruit and granola bowl that I had on my last trip but found them closed. With this attempt at healthy eating foiled, I felt perfectly justified in going to eat my favorite dessert in Placencia. They have a big comfy outside porch…and then…it arrives. YUM. 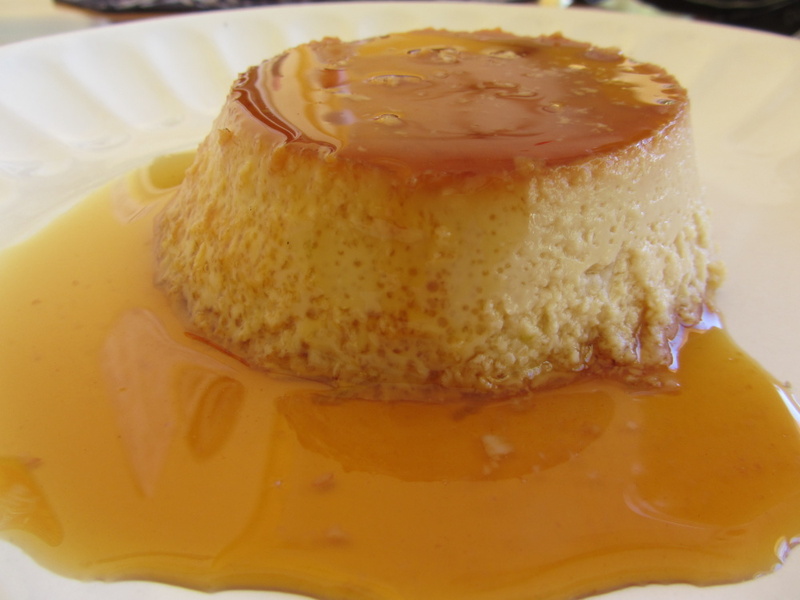 This is no delicate light flan. 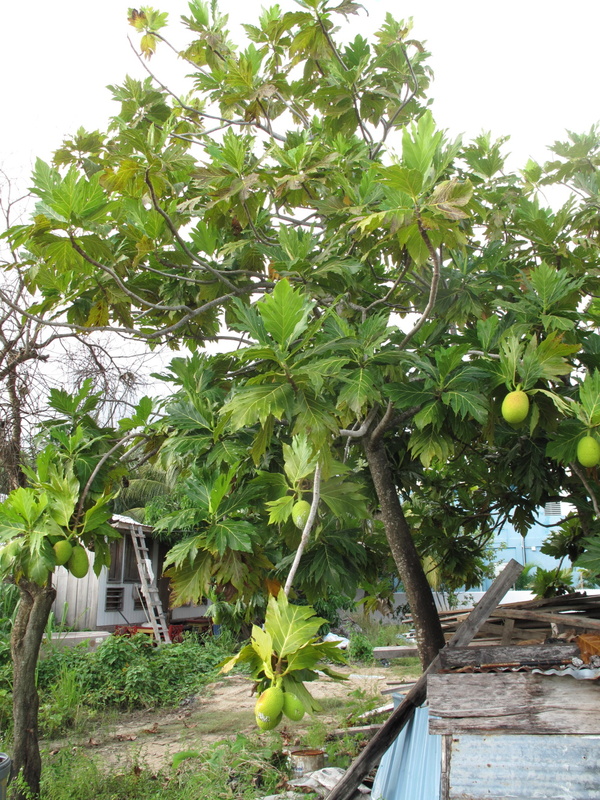 It’s dense and thick and cheesecakey and packed with coconut. The caramel is dark…a slight burnt sugar flavor. GOD IT IS GOOD. And for $6bzd? You’ll be tempted to have 4 of them. And why do you have to be so judgey wudgey? I’m on a serious dessert bender and I couldn’t be happier! Plus, I do it for my work. For you. You’re welcome. SO glad you finally got to try Tutti-Frutti (I may be a grammar guru, but I can never remember how to spell that!) We had it twice in one day as well, so no judgement at all. 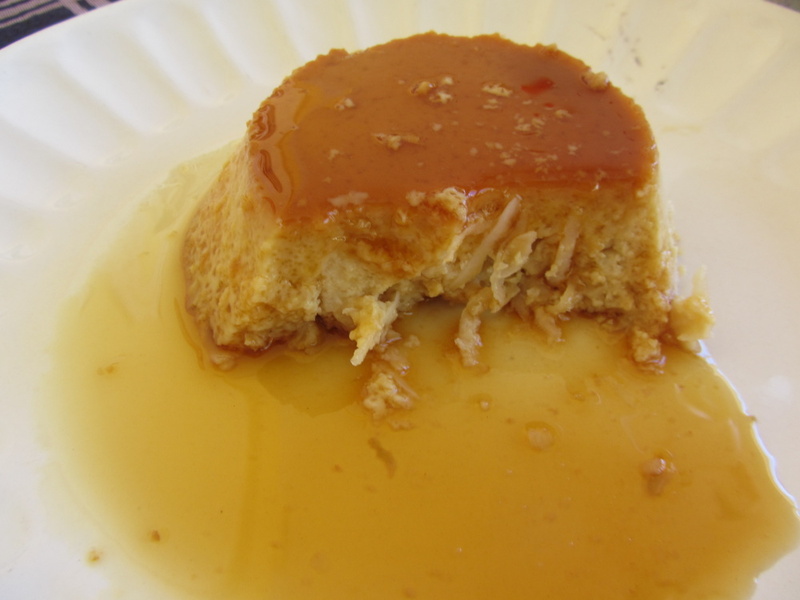 And that flan — I would possibly have had to have two of. It looks and sounds like dessert perfection. Thank you for all the sacrifices you make. For us. Yes, the Tutti-Frutti gelato is that good! 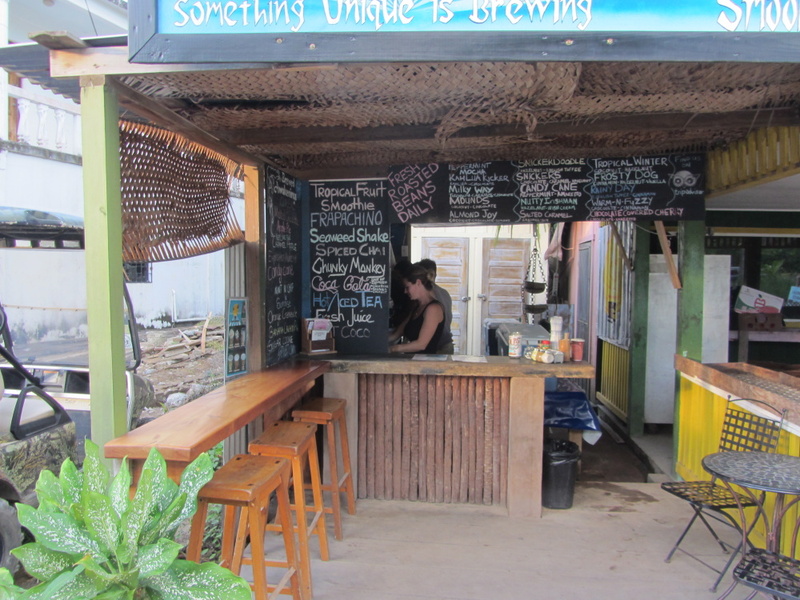 Omar’s for fresh seafood is great, and the Hokey-Pokey water taxi is a delight. It is that good. The chocolate…I could use a scoop right now on top of that flan. Yummmm…perhaps I need to head over to Elvi’s for a sugar fix. Have you tried the fried chicken Paul makes here in AC? 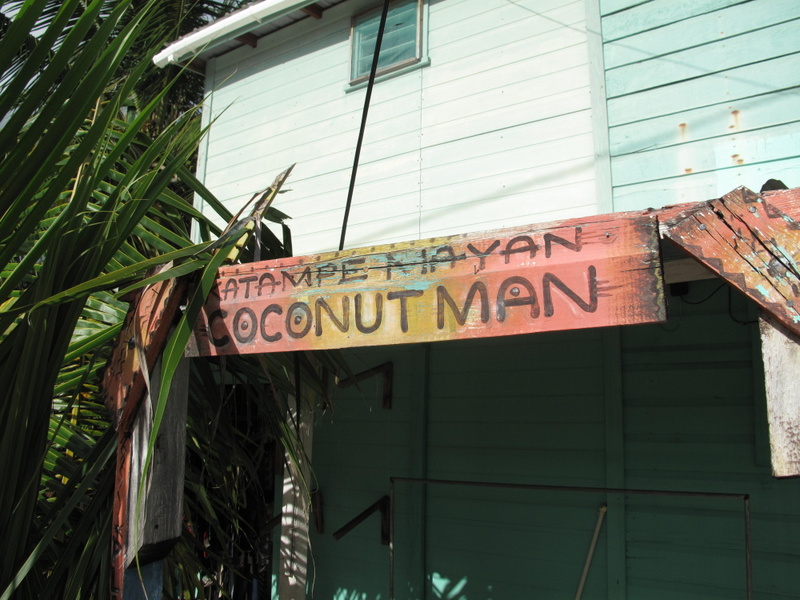 He has a stand across from Captain Gutz bar, just by DJ ‘s. It is delicious.